Jaflong is a beautiful and attractive natural visiting place in Bangladesh. It's one of the main tourist attraction spot of our country because of its natural beauty. 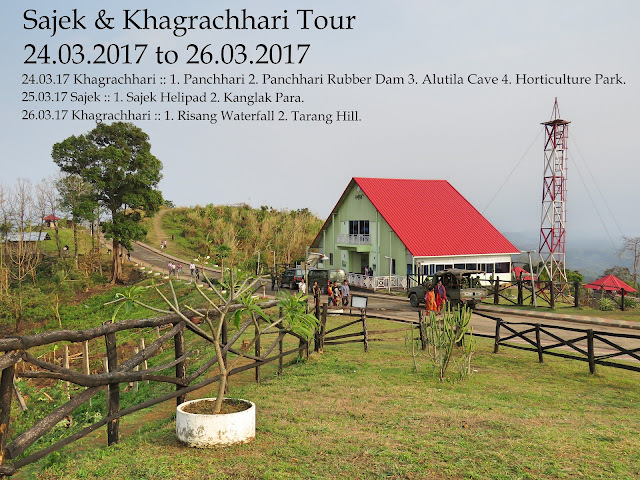 It's located at the border between Bangladesh and Meghalaya of India. It's inside the Gowainghat subdivision (Upazila) under the Sylhet division of Bangladesh. Jaflong is the home of Khasia Tribe. It's also famous for it's rolling stone collections. Three years back from now in the same month of June we visited Sylhet and Khulna division. Probably 21th to 26th June we visited all those areas. How we visited two divisions in a week? It's because it was our Provisional Acceptance Test (PAT) period. We had no time for sightseeing. We just went to a BTCL site did our job and moved to another site. At the end of our office tour on 26th June, 2010 we went to Tamabil and also visited Jhalong. Rainy season is the best time to visit Jaflong. Piyain river will be full of clean water. On the way you will be amazed by the big and small waterfalls. In case you don't have a car you can easily go there by bus from Shibgaoj, Sylhet. Bus starts in every 20 minutes and it will not take more than 2 hours to reach Tamabil. From Tamabil you will find boats that will take you in the Jaflong. By road is also possible but if you want to go to the end of the boarder boat is better. 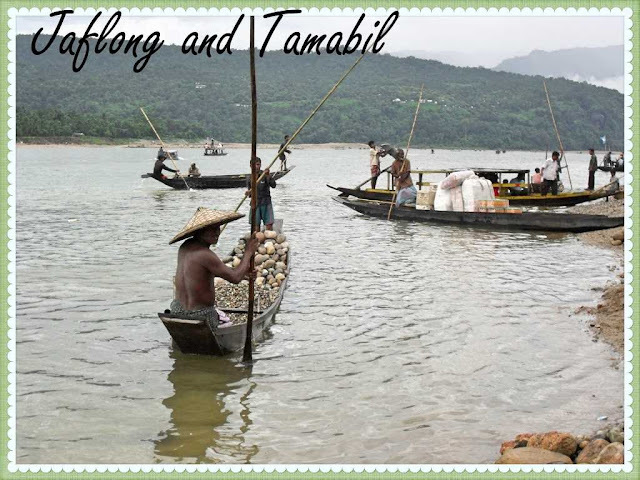 Tamabil is located about 57 km far from the Sylhet town and Jaflong is about 9 km away from Tamabil. Abu Zafor Md. Ahsanul Haque Sir. Moonem Ujjal Sir with wife. Piyan river originates from India's Umgat river in Assam. Originated from the Jaintia Hills of Assam, the Umgat river flows southwards and falls into the Surma River of Bangladesh. On the way, the Umgat river is divided into two parts, whose main branch is the Piyan river and the other branch flows as Dauki or Jaflong. The water of Piyain river is cold and crystal clear. You can see the inside surface through it. The stones under the water will draw your attention. The Mari river brings million tons of stone boulders with its tide. You will see stone collectors all over the river. The water is so cool that you will love to stand in the water. Boat riding is also enjoyable. It's a hilly area where hills are greenish and marched with the forest. Some wild animals live in this forest. The surrounding natural beauty is awesome. The nature represents itself in an even more astounding grace. Tamabil is a border area. You will see check post separating Bangladesh from India. The roads are surrounded by beautiful nature. Mountainous streams running from the zigzag road will catch your attention. The green carpeted mountain and the waterfall will give you an amazing experience. Tamabil primarily use to import and export goods from India specially coal and stones. Border area and BDR check-post. Waterfalls on the other side of Bangladesh. It was a rainy day. We went to Tamabil and waited half-an-hour due to rain inside a market near ghat. After that we hired a boat and started for Jaflong. Boat dropped us at the end of the Bangladesh border where we saw border guard check post. Even though there is no boundary, it's strictly prohibited to step outside the border. BSF will not hesitate to shoot you. We took few pictures there. After we came back from there we explore the Tamabil area. It was an amazing experience. A special thanks goes to Mr. Munem sir for planning this tour. As far I remember we had two PAT teams for IP and Access Network. One lead by Mr. Sajid and another by me. We started PAT at the 1st of June. I was with Team A and later switched to Team B. "Sahebul, the photographs remind me of those days we enjoyed working together. Thanks a lot for uploading these beautiful scenic pics..."
It's easy to put a comments in my blog. No matter, I put it on the behalf of you. Copy pest the same thing you wrote in my facebook. Thanks a lot. Thank you. Complete guide to explore Jaflong. Great resources. I have seen another similar stuff.